Happy Fall 2018! I hope you had a wonderful Fall Equinox weekend. I spent a good portion of the beautiful weekend in both Riverside and Central Parks, and it looked as if most of the city was there as well enjoying our urban nature! Every time I step into Central Park, I feel a wonderful energetic shift as I breathe in the fresh air, park trees and flowers, and soak in the beauty around me. I highly recommend adding a park walk to your work commute, or general daily schedule. 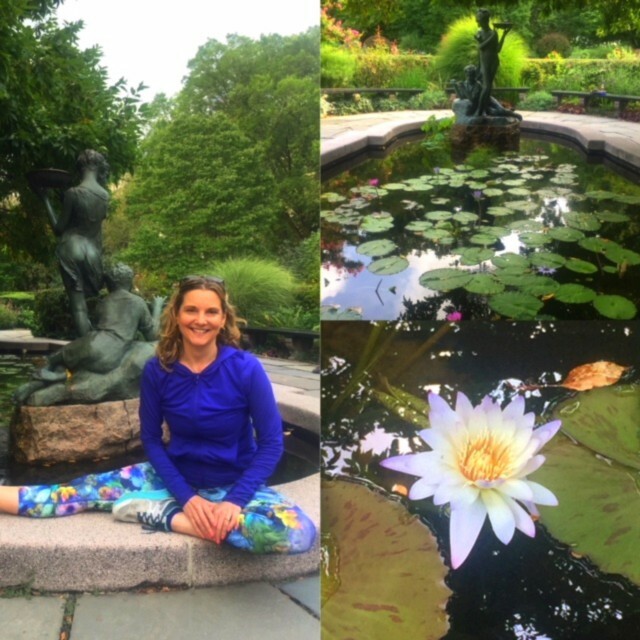 If you have not been to the Central Park Conservancy’s lotus and lily pond at 100th Street off 5th Avenue, please check it out. The pond and the surrounding gardens are spectacular! This Thursday morning, I am teaching a Gentle Yoga class at Integral Yoga on West 13th Street. See below or right for the details. I hope to see you there, and I am delighted to be be teaching at one of my favorite yoga centers again this week. I realize that there is an important Senate Judiciary Committee Supreme Court hearing at the time of this class, and many of us are finding this whole situation very stressful, so I recommend setting your television DVR and watching it (or reading about it) after connecting to your inner centered place during yoga. Restore your inner balance in this gentle yoga class that combnes toning and chanting with flowing posture, deepening the meditative aspect of the practice. This class is designed as a moving meditation that helps us slow down our thoughts and connect to our true essence; balance our chakras (the subtle energy centers so vital to overall health, well-being and spiritual development); and harmonize our body, mind, and spirit. Class concludes with a guided yoga nidra (deep relaxation technique) and savasana (relaxation pose) leaving us feeling refreshed and rejuvenated. This class is suitable for all levels, from beginners to advanced practitioners.